We were part of the WOW Festival in the Southbank, we were in Leeds and London with AccSex documentary with Shweta Ghosh, we were also took part in the Feminism in London Conference and the Youth Action Festival.We were campaigning with Million Women March and Sisters Uncut. We took part in social justice events such as Sparks in London. 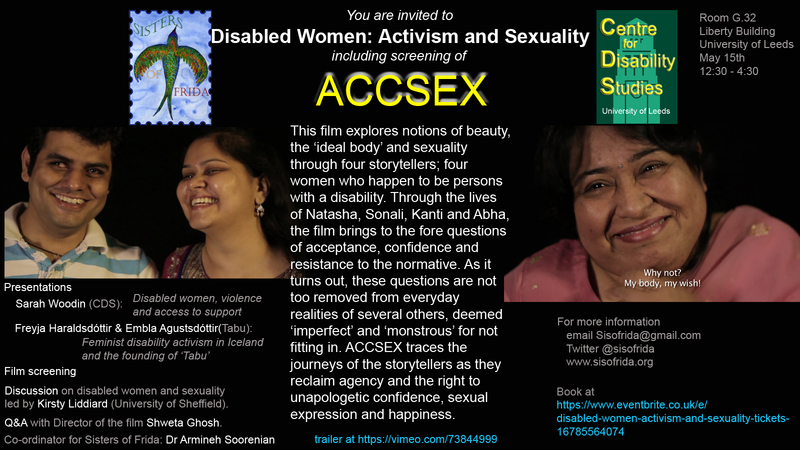 Sisters spoke at the Woman Up event and the UK Disability History Month and had a great workshop on Sexuality and Disability. Thank you for your support and please continue in 2016. Have a great festive season and Happy New Year!